Please meet my new friends in Madrid! 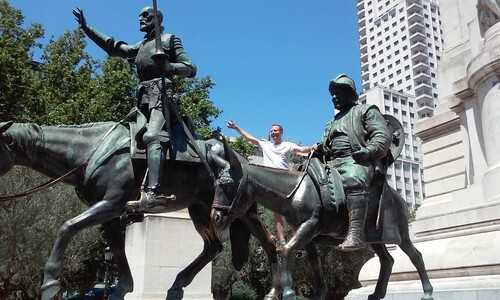 The Legendary Don Quijote and Sancho Panza. The main characters from Spain's most famous book Don Quijote written by Cervantes. 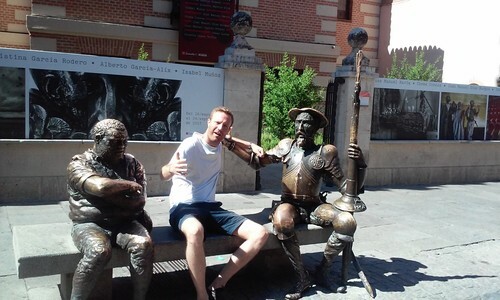 This photo was taken outside the house where Cervantes was born in Alcala near Madrid. 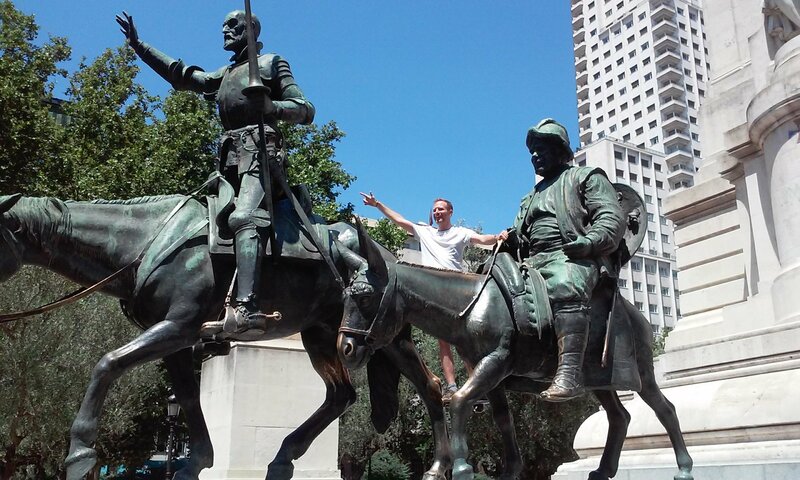 Taking a ride with Don Quijote and Sancho Panza! What the British say and what they actually mean! Happy Fat Thursday (Donut Day) From Poland! Japanese photographer Nagano Toyokazu takes brilliant photos of his 4-year-old daughter. Las Fallas ! Spain's most spectacular festival !